Increase your brand awareness among families who recreate outdoors with a special recognition opportunity. We can customize packages to your national, regional, and local market(s), maximizing the impact of your sponsorship. A sponsorship reinforces your reputation as a company dedicated to the health of the environment and young people, and provides year-round visibility and alignment with a growing, award-winning, national program. Kids participating in TRACK Trail adventures can register through kidsinparks.com and earn a series of prizes. Prizes are mailed to approximately 5,000 kids each year, keeping them engaged with the program. 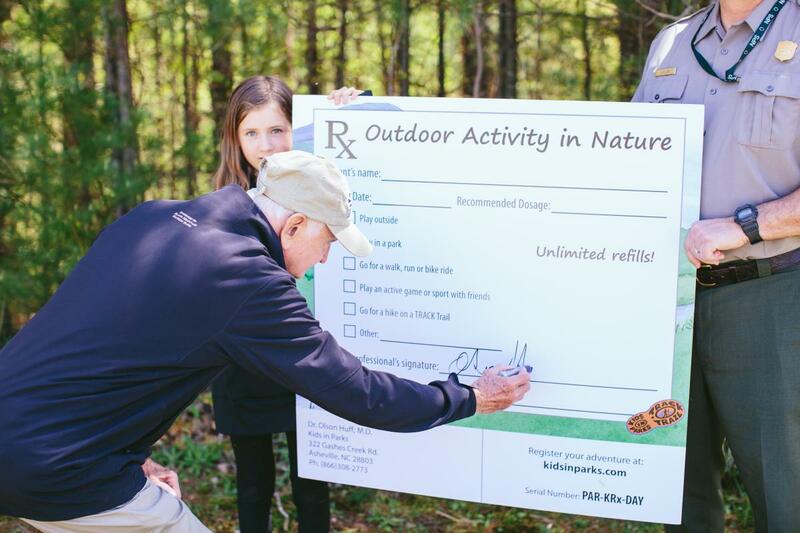 This sponsorship enables your company to get materials into the hands of kids and families engaged in outdoor recreation and provides incentives for the next generation of outdoor enthusiasts. 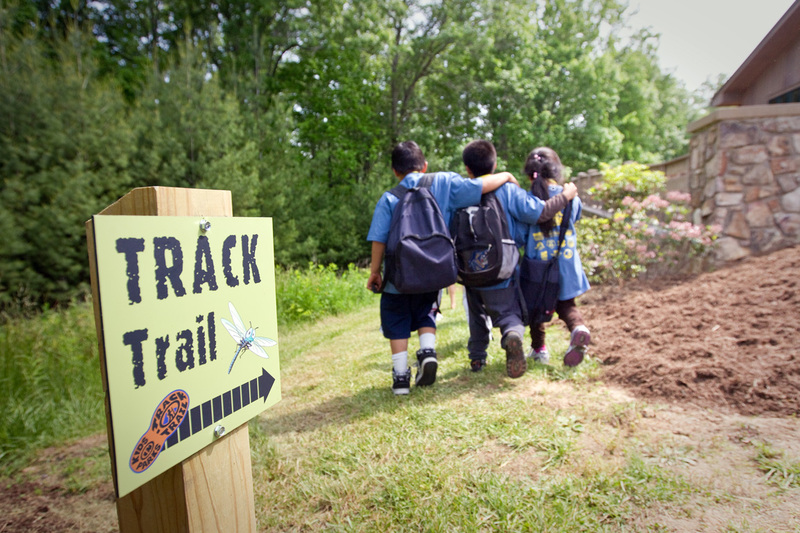 Our TRACK Trails and TRACK Rx programs work in unison to help kids and families learn how spending time in nature improves their health. Healthcare provider partners display miniature trailhead signs and our TRACK Rx brochures in their waiting rooms and use custom Kids in Parks “prescription pads” to prescribe outdoor activity and our network of TRACK Trails to patients. TRACK Trails utilize self-guided, educational materials to turn ordinary hikes into fun-filled, discovery-packed adventures. Your sponsorship will add new trails to our national network and help cultivate the next generation of environmental stewards. 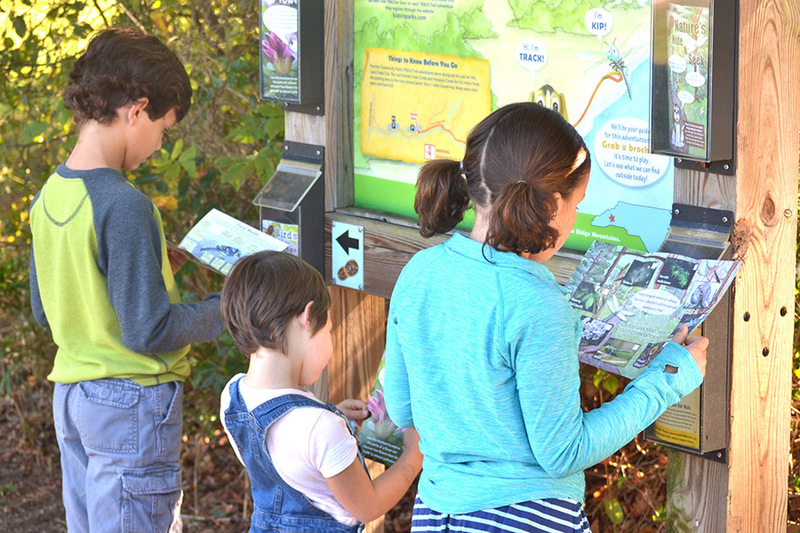 Trails include: kiosk, brochures, webpage, sticker, and other programmatic materials. Some of our existing TRACK Trail partners have limited resources to maintain their trail(s). Your sponsorship will help keep trails, particularly those in low-income communities, accessible to kids and families. We’ll use the funds to repair or replace aging infrastructure, print more activity brochures, improve the trail webpage, and more.